Over the past three years me and @Ecta64 have posted a few notes investigating using a kite itself as a wind speed meter.. Recently @Ecta64 has collected a series of parts that replicate the functionality of a commercial wind prospecting device from the '80's, the Approach Fish TALA, or Tethered Aerodynamic Lifting Anemometer (i.e. a kite wind speed meter). You can see @Ecta64's overview on his Youtube channel. 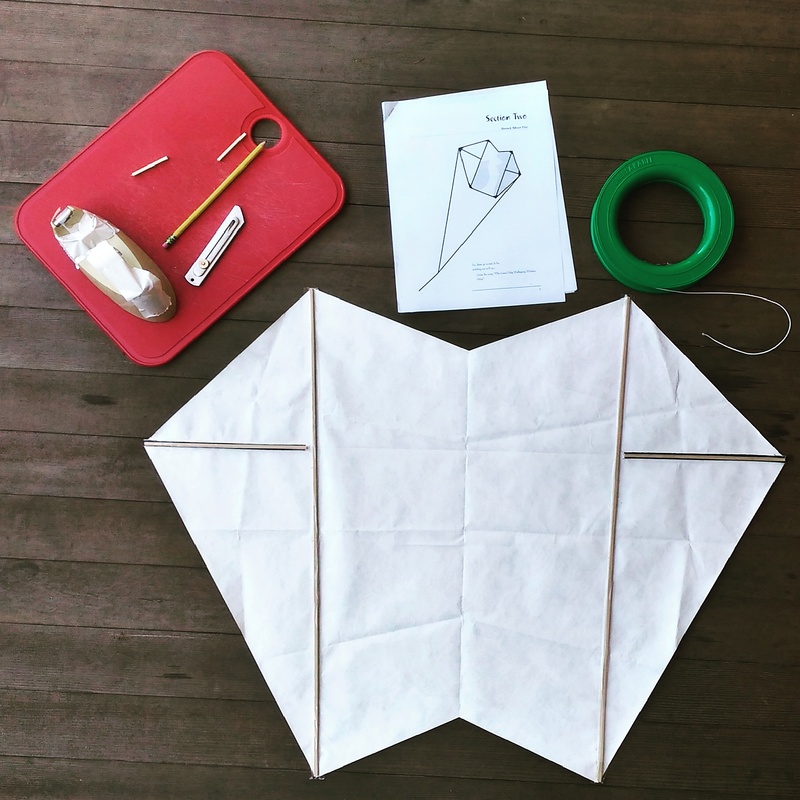 @Ecta64 has identified very similar sled kite with more stability, no tail, and an even easier build: the Horned Allison kite designed during the '90's by Stormy O. Weathers.. I wanted to make some notes on Stormy's kite design so I could properly replicate it in the future. I did this by making a version with materials at hand, rather than exactly replicating Stormy's procedure. It gave me a better sense for his design and construction choices, and I hope to do a more faithful replication in the future. Starting from Stormy's instructions in Section 2 of his book. Several construction details are only in the text. *Stormy suggests putting a strip of non-fiber strapping tape wrapped around the keel on both sides. This is a specialty tape. You can find it by looking for 'tensilized' or 'linearized' Polypropylene strapping tape, like Tesa 4288 from uline. I found my roll of PP strapping tape after building the kite and substituted gorilla tape in construction. My material choices, especially the gorilla tape and spars, were much heavier than Stormy's, and my kite didn't have as low a wind range. 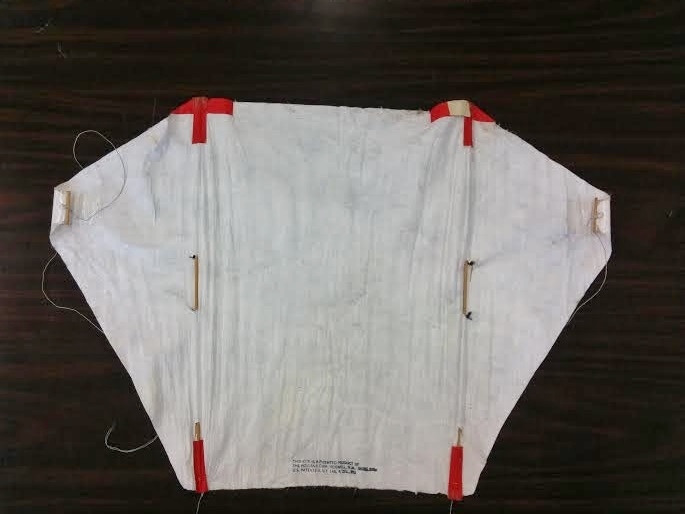 I will probably build with tyvek again, however, because I don't have to hem the tyvek kite like I do a trash bag, saving a major construction step. Stormy's directions were only text here, and @Ecta64 and I did it two different ways, and I'm not sure I'm right in this construction. Stormy recommends a piece of straw that is either: 1)a tie point to prevent the tape from being sticky or 2) a re-enforcement spar for the keels. 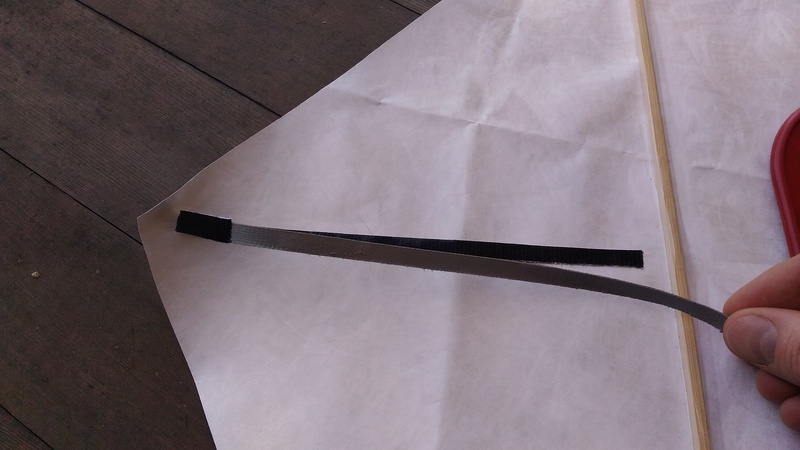 Peel off a 12” long by 1/4” wide strip of strapping tape from the roll. 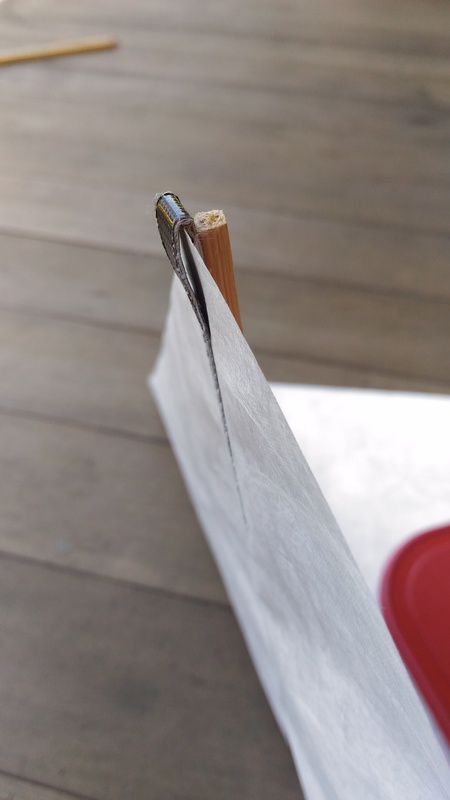 Lay a piece of soda straw straight across the middle of the strapping tape, stick it firmly to the tape, and trim the straw to where it just reaches across the tape. Hold one end of the tape in one hand while you position that section of soda straw outside of, but barely touching, the bridle point. Now rub the tape down along that horizontal line across the kite between the bridle points. Turn the keel over, and put the other half of the tape on the back side of the keel. The kite flew great! a little too heavy. Next time I'll build it with straws and strapping tape, and perhaps try the plastic bag construction too.